Newly renovated Waikiki Clean Studio. Full kitchen, Free WiFi, Parking! Brand new renovated studio unit located on the 4th floor of a very popular condo. 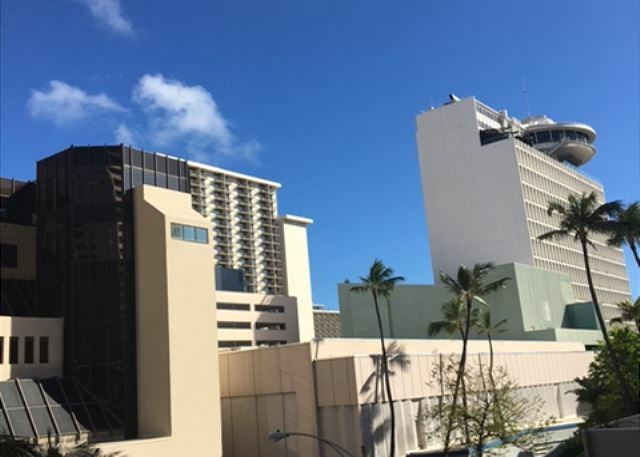 Marin Surf is Located in the heart of Waikiki. 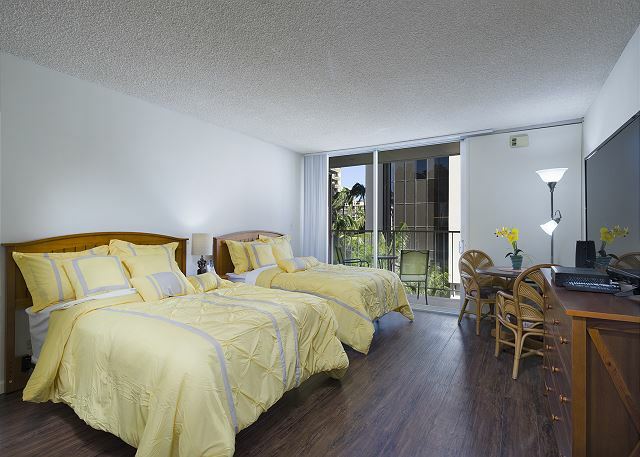 Great location with quick easy access to Waikiki Beach, shopping, fine dining restaurants, entertainment & transportation. The unit features full kitchen with a range, large refrigerator, microwave, toaster and coffee maker, 2 full sized beds, 50” flat-screen TV, High-speed WiFi and Washlet. Everything is New!!! We provide secured, assigned parking for free!! 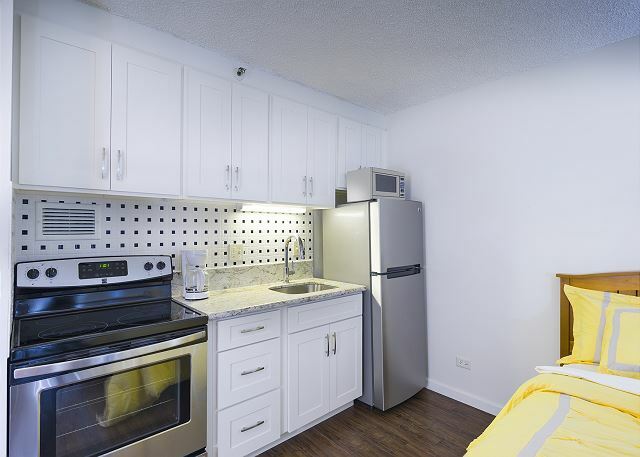 This unit is exactly what we wanted - a fully functioning kitchen for meal preparation and centrally located with Waikiki within just a short walk - and free parking! However, It is not a quiet location due to proximity of street so street noises were loud. 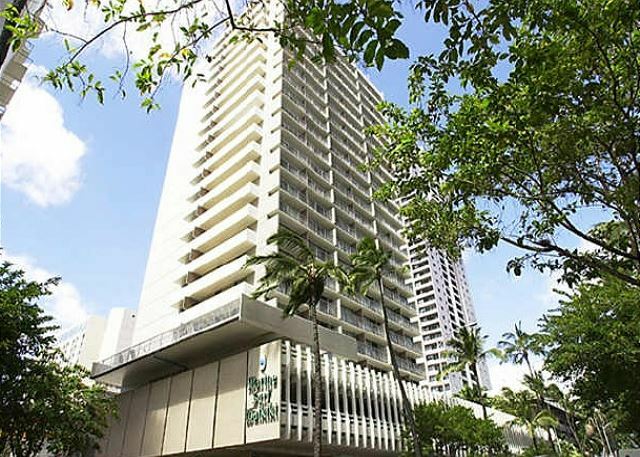 That said, would recommend to people looking for a convenience with very reasonable cost to stay in downtown Honolulu and don’t mind the hustle and bustle of a large city. This was our first experience with rental like this and i must say it was awesome. I must warn you, if you are looking for quiet place then this isn't for you but it's right in the center of Honolulu and i must say that what's count because you have everything right around the corner. Would stay there again no doubt. Simple and easy check in / check out. Apt. is clean, bright and modern. Kitchen is well equipped if you choose to cook. A/C cools the place down quickly! Covered parking one floor below. Walking distance to everything in Waikiki. Building is well managed and secure. 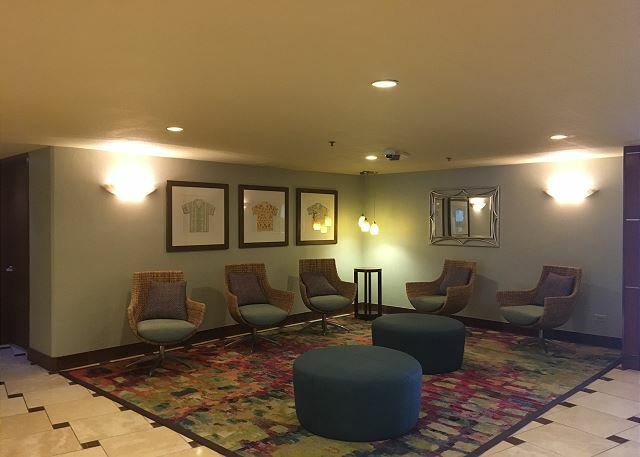 This place worked perfect for me as one person traveling for business to Oahu. Clean, simple, close to the beach and a free parking spot for my rental car. everything was great. the T.V went out but no problem.